Zynga’s Purchase of Draw Something: Epic Fail or Shrewd Move? For all the talk about the importance of mobile, one would think that Zynga’s purchase of OMGPOP would have been received more favorably. Unfortunately for Zynga, the $180M acquisition of the hit mobile game “Draw Something” sent shares tumbling and they haven’t recovered since. to protect its market share. Not helping matters for Zynga is the sharp decrease in Draw Something’s user base. Since making headlines for gaining 50 million downloads in 50 days, Draw Something’s DAUs (Daily Active Users) on Facebook has plummeted 30% in the last month, from 11M to 7.5MM. The sudden decrease suggests that Zynga paid for millions of users who have since vanished. The more optimistic view notes that Draw Something is the digital derivative of Pictionary, a game which has been around since 1985. 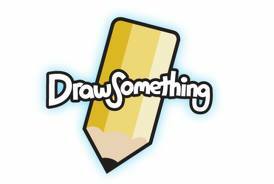 If Draw Something isn’t a one-hit wonder but instead turns out to be as timeless as Pictionary, Zynga’s purchase looks less panicky and more strategic. Zynga's COO John Schappert underscored the company's long term view: "We think of it as a game that's an evergreen franchise. It's a game that will live on for years." This strategy of converting old school, iconic games into digital has worked out well for Zynga. The successful “Words with Friends” franchise is derived from Scrabble and “Texas Hold’em” is a poker game. The "Draw Something" purchase is a continuation of this strategy and suggests Zynga was willing to pay a premium to bolster its portfolio of proven game models. Although the current social gaming landscape is fragmented, Zynga's strategy indicates it believes it will evolve to resemble the console gaming marketplace, where a handful of lasting franchises (Madden, Call of Duty) provide the bulk of revenue. As of this writing, Texas Hold’em, Draw Something, and Words with Friends are the top three Facebook apps. Whether or not they’ll remain there is the question that potential investors must consider. When it comes to investing, Wall Street is not satisfied with the Facebook of today, the bulls want to know where the growth will come tomorrow! The sense of urgency around Facebook’s search for new revenue streams is driven by the perception that “Sponsored Stories” and “Facebook Ads”, the two products behind the current business, won’t satisfy Wall Street’s insatiable appetite for growth. Even if Wall Street is pigeon holing sponsored stories as yesterday’s growth story, the folks on Madison Avenue know that Facebook may not be done with that cash cow quite yet. As every digital marketer knows, a Facebook page only reaches 16% of its intended audience during a month. Where does that 16% number come from? Facebook would likely maintain that it’s the result of the EdgeRank algorithm designed to keep the newsfeed uncluttered and relevant. At the moment, the 16% rule applies to all content published on Facebook, meaning brand pages as well as personal ones. That pitifully small number makes Sponsored Stories a must for any company serious about using Facebook as a marketing vehicle. If Facebook lowered the organic reach of brand page content from 16% to 15% many advertisers would have to increase their marketing budgets to maintain the same level of aggregate reach. In this age of precise reporting and advanced analytics, there are countless businesses that know exactly what the ROI of their Facebook page is. Lessen their “organic” reach on Facebook and they will see a corresponding drop in business. To compensate for that drop, advertisers would have no choice but to plus up their ad spend. Take a step away from the impatient climate of Wall Street and there are plenty of potential growth opportunities for Facebook: international, mobile, research and Facebook Credits to name a few. The problem is that it will take time for Facebook to turn those opportunities into scalable businesses. In the world of quarterly earnings, Wall Street is unlikely to wait around. Lucky for Facebook, it has its hand on a lever that can instantly create growth. As the pressure of being a public company mounts, tweaking EdgeRank is something Facebook will have to consider. To investors, that’s good news, for advertisers, not so much. Is It Time For Netflix To Incorporate Advertising? It’s not easy to be Netflix. Increased competition, rising costs of licensing fees and a stock that’s lost 66% of its value since the summer have the company’s once golden reputation reeling. To incorporate advertising at this point seems like an invitation to disaster. 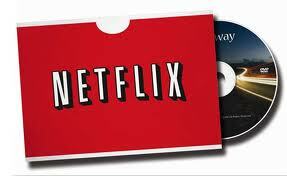 Netflix’s ad free streaming environment is as much as part of the company’s identity as the iconic red envelopes. With a lot less of those red envelopes going out in the mail, to jeopardize the streaming experience is to risk the future of the business. Yet, Netflix has another user experience problem to address – its spotty library of content. The only way to bolster the library is to pay up, and that’s increasingly expensive. For example, in 2008 Netflix paid Starz $30 million to stream titles from Sony Pictures and Disney. That same deal in 2012 came with a price tag rumored to be around $300 million. 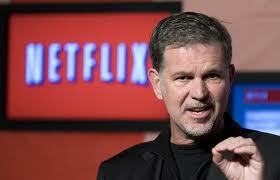 Netflix simply could not afford that 1,000% price increase and let the deal expire. As a result, dozens of premium titles like The Social Network and Spiderman are no longer in its library. The company has made some tough decisions this year to raise cash in order to bolster its library. In the summer, it infuriated customers with a sharp rate increase. In the fall, it “taxed” shareholders by issuing more stock. 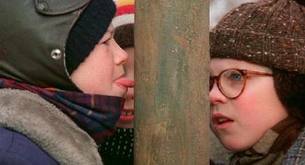 Will the low hanging fruit of advertising be the next untapped revenue stream?